Custom Crystals Jewelry Handmade for Prom Jewelry Aquamarine Sapphire Swarovski Crystals with teardrop accented in Gold 22k plated chain with gold hook earrings. These pretty Swarovski with Jewelry accessory appropriate for brides members of the bridal party & guests. 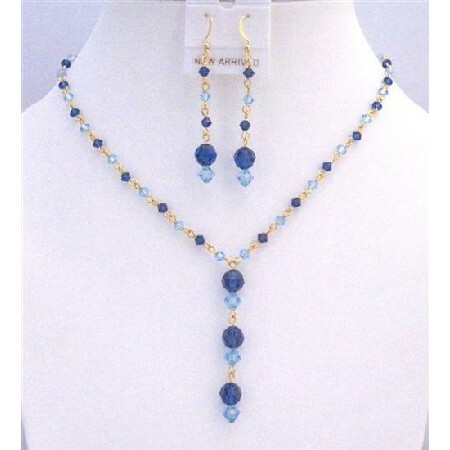 Handmade Exquisite Necklace All A Grade & Swarovski Crystals Material are used to make this beautiful Necklace & Earrings.